Chief of Child Development Unit at Children’s Hospital and Professor at Harvard Medical School. The following is feedback I received for the manuscript of my book Heartful Parenting. 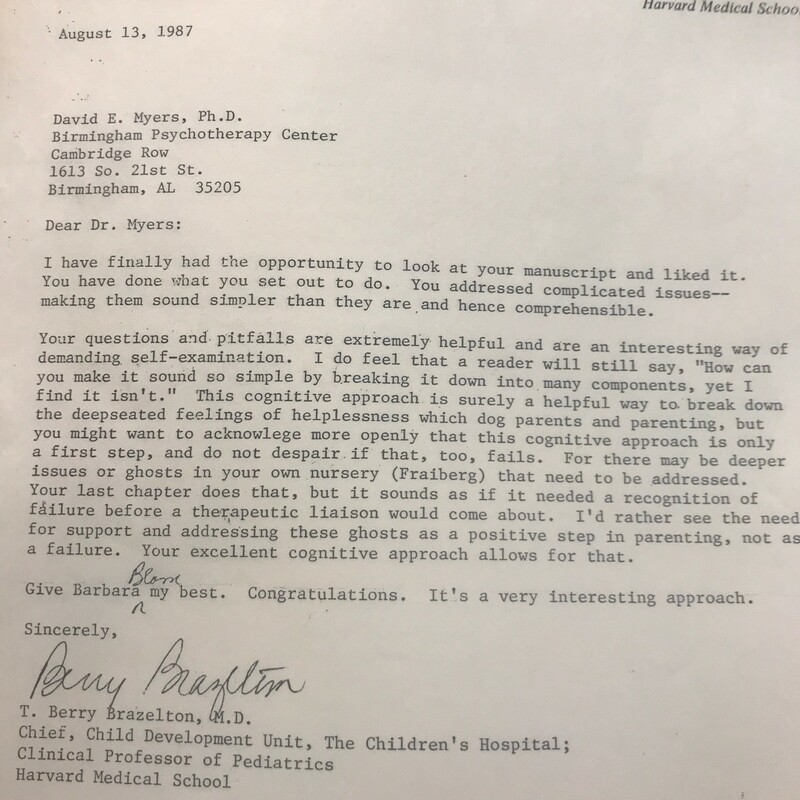 I am deeply grateful for the acknowledgement and appreciation Dr. Berry Brazelton, Clinical Professor of Pediatrics at Harvard Medical School, had for my work. His words reinforced my theories on emotional intelligence and my commitment to strengthening the relationships between parents and their children. 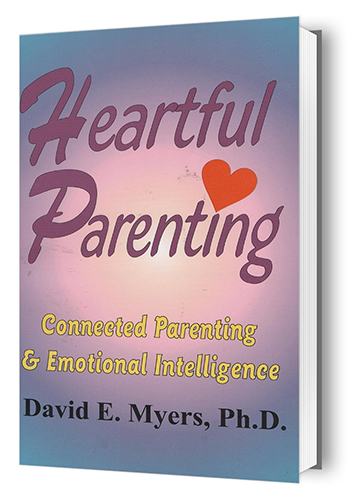 Heartful Parenting: Connected Parenting & Emotional Intelligence by David E. Myers, Ph.D.
A couple of months ago, Dr. Myers sent me his book to review and I promised him I would review it in my August Parenting Newsletter. I highly recommend this book to parents who want to give their children perhaps the most important gift of all—heightened emotional intelligence. Research has been done that shows emotional intelligence is far more predictive of life success and happiness than intellectual intelligence is. You can be very book smart, but be much less likely to succeed than if you are in tune with yourself and others emotionally. He makes some excellent points that I wholeheartedly agree with. For example on page 98, Dr. Myers writes, “In an all-out war between parents and child, the child will win, usually at a great cost to her.” This is so true. He also provides excellent advice about things to do, and things not to do as a parent. He focuses on the importance of having a positive relationship with your child and distinguishes between discipline as teaching and discipline as punishment. He has an entire chapter dedicated to communication, and provides good guidelines for how to communicate with your child. Overall, I liked this book and would recommend it for parents seeking to be better than “good enough” parents.